Hello everyone! 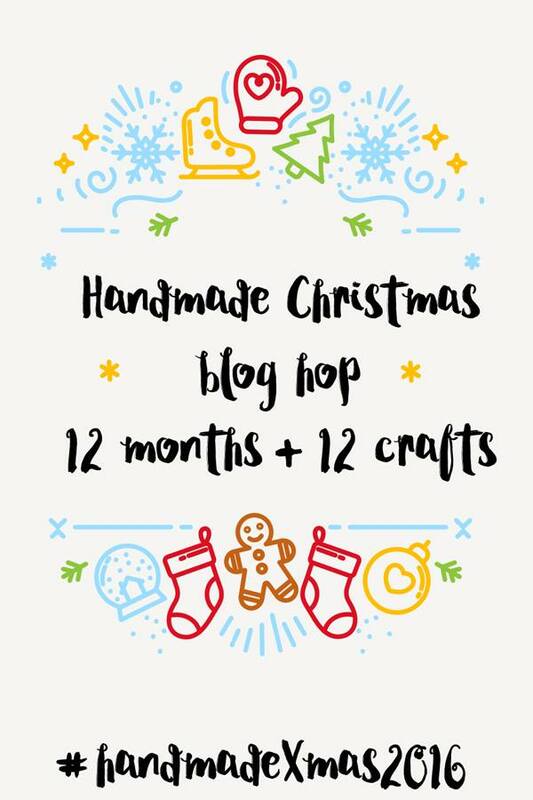 I'm part of a group of twelve creative bloggers who have joined together for a 12 Month Christmas Blog Hop where one of us will be making a fabulous Christmas gift for you to re-create each month! Imagine, make one handmade gift a month for 2016 and by christmastime you'll really be ahead of your holiday gift making! How cool is that! This past January, Millie of 2Crochet Hooks kicked off the Handmade Christmas Blog Hop with a cool No-Sew Fleece Blanket! And Pili @My Sweet Things created an awesome Merry Christmas Sign using scrap wood table legs, for the month of February. 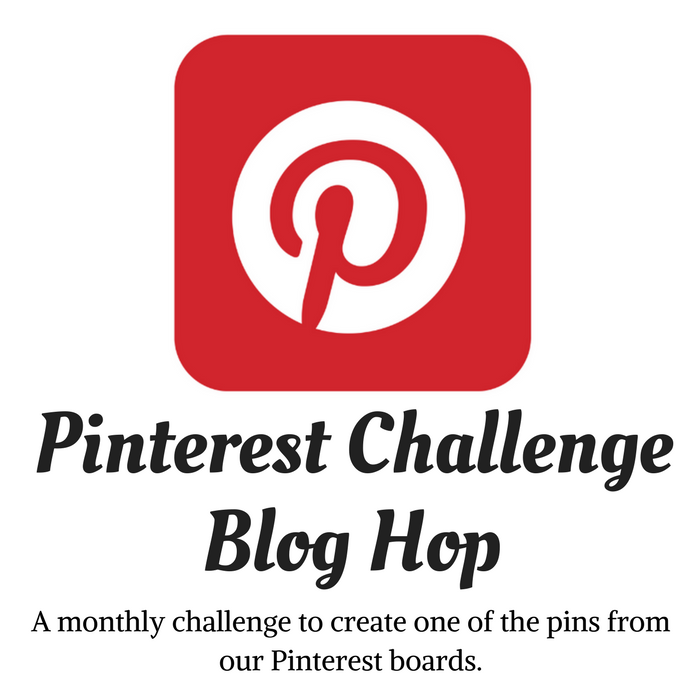 March is my month to share a handmade gift giving project with you. Mine is: A neck scarf made by weaving yarn on cardboard. I must first apologize to all those talented enough to be able to knit or crochet. I can do neither. My creative and artistic late mother-in-law tried her best to teach me but I just couldn't pick up the techniques. Fortunately, I did manage to acquire the love of crafting from this wonderful lady, for which I am forever grateful. Weaving yarn using cardboard is pretty much like using the cardboard as a loom, to "knit" a neck scarf. To make one, you just need cardboard, ruler, scissors, and a skein of yarn I would not recommend using thick yarn for this because the weave gets very, heavy and too bulky for your neck. Believe me, I had to learn this the hard way. The following tutorial is very detailed, but once you get the hang of it, making the scarf goes rather quickly. 1. Take a piece of cardboard (I started with cardboard from a box and switched to posterboard for better stability) 38 1/2 inches long ( this is the length of the posterboard I had) and five inches wide. (38 1/2" x 5") But you can make it any length you want. Mark 1 1/4" wide and 2" inch long lines and cut the lines into segments. Each segment should be 1 1/4" wide. 2. After cutting the lines, fold down every other segment . . .
3. And then cut off the folded down alternate segments. 4. Next, pick up the yarn and make a loop on the end, tying a knot and placing the loop on the first left segment. 5. Loosely loop yarn in front of and back of all the segments over to the end of the right side. 6. Wrap around the last segment and continue weaving back to the left side and then the right side, back and forth, for a total of four times. 7. Ending on the left side, leave yarn hanging loose on the last left segment. There should be two loops in the front of each segment. 8. On the right hand side - on the last segment, hold the top loop in place with your finger and pull the bottom loop over the top loop - up and over and off of the segment. Repeat for each segment - right to left. 9. As you are weaving, push all the loops down so the loops won't accidently come off of the segments - you should see one loop on each segment. 10. Again, wrap the yarn around the first segment (left) and continue weaving to the right until you see two loops on each segment and begin lifting the bottom loop over the top and off. You will see a ladder effect on the back after the first few rows of weaving. 11. Continue weaving left to right, for two loops on each segment and starting on right side, lift bottom loop over top loop and off, until you have your desired length. 12. When it's time to cast off, leave one loop on all the segments and don't weave any more new loops, and just leave the yarn hanging down on the left of the last segment. 13. Starting with the segment on the right side, pull the bottom loop up and over and let it go. Place the remaining loop on the segment to the left. Repeat pulling bottom loop up and over and let go. 14. Repeat this until reaching the left side end. 15. Pull the yarn through the last loop, cut with scissors and pull it tight. Tie both ends together. *If you see any loops sticking out, just stretch the whole piece by pulling on it. I love wrapping this around my neck! It's so fuzzy and warm and looks super chic! The next time you find yourself with a skein of yarn and some cardboard, have fun and weave one of these. It really makes a great handmade Christmas gift! Be sure to check out Stella @ Purfylle this April for her eye catching handmade Christmas gift! Gail your tutorial was so easy to follow even a non-knitter like me can do this. And it turned out absolutely gorgeous! Ok I'm off to find some yard! Thanks, Mary! This "yard" is going to follow me forever! Haha!! This is what happens when I get up to early in the morning. The "yard" is on me! Wow- that's a great way to get around knitting and crocheting! I was taught some stitches but I just didn't grab onto doing it. I think I lack the right kind of patience to do it. Excellent as always Gail! Wow, what a great tutorial. You make everything seem so easy, even for the non-sew people....Have a lovely weekend. Great tutorial and cute scarf! Scarves make great Christmas gifts! Thanks, T'onna! You have great crochet skills! That was really easy Gail!! We always have cardboard around here, we only need some yarn. I think this could be fun to make with the girls. Yes, I think this is great to do with girls - it's much better than finger knitting where their hands are confined for a period. This way they can put it down and go back at any time. 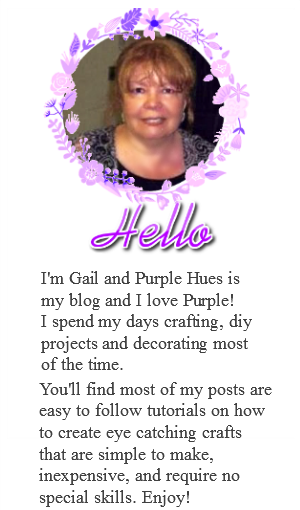 Awesome Gail! Scarves are so popular right now. Well I'm challenged too...I can kind of crochet but knit? No. This looks east enough and turned out so pretty! totally cool! I crochet but this weaving is lovely! What a brilliant idea to make the form too. Anyone could do this and look lovely!! 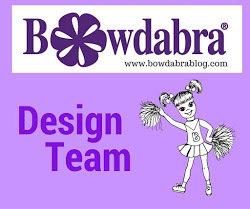 thanks for sharing the tute and inspiration!